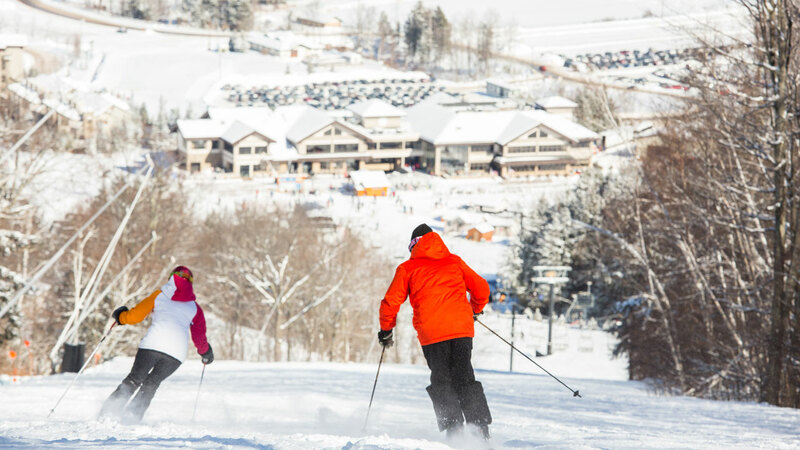 Windham has become our most popular mountain and is just two hours-and-a-half from our Urban Sherpa pick-up locations in the city. 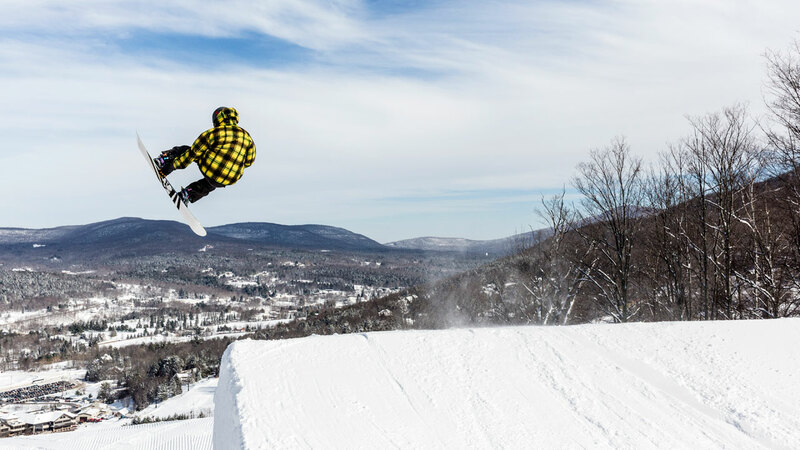 If you haven’t been to Windham, sign up and experience Windham’s expansive runs. 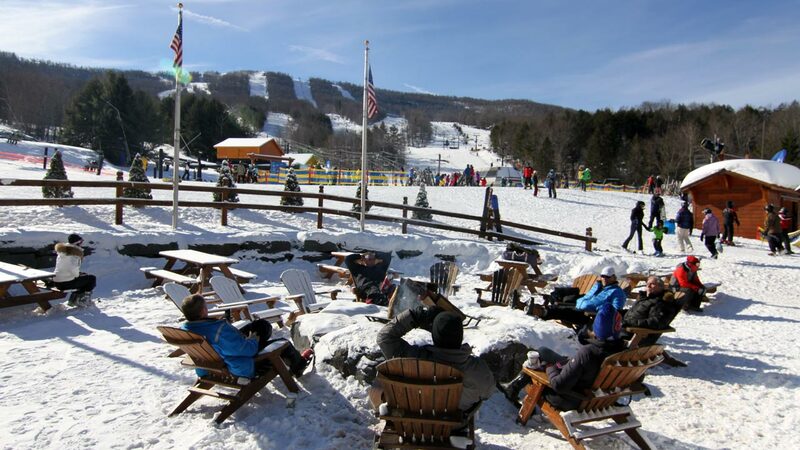 The consensus with all our leaders: Windham has more to offer for every skier and boarder. 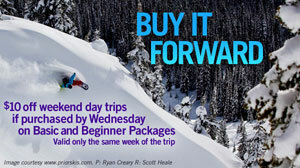 Basic Package for advanced beginners and up includes a round-trip bus pass and lift ticket, Sat/Sun $105, mid-week $95. 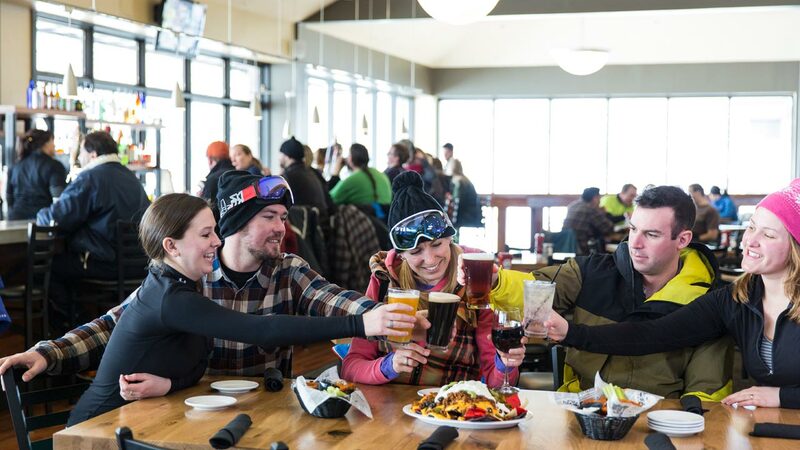 Beginners Package (ages 9 and up) includes a round-trip bus pass, a magic carpet, K & D lifts ticket, 90-minute group lesson, and a ski or board rental, Sat/Sun $140, mid-week $140. Adventurers Camp Half-Day Package (ages 4-6) includes a round-trip bus pass, lower-mountain lift ticket, ski or board rental, and 90-minute group lesson, Sat/Sun $160, mid-week $150—best purchased a few days in advance to guarantee availability. Lessons are 10 AM-11:30 AM & 1:30 PM-3:00 PM. Adventurers Camp Full-Day Package (ages 4-6) includes a round-trip bus pass, lower-mountain lift ticket, ski or board rental, 2 90-minute group lessons, and lunch and snack, Sat/Sun $230, mid-week $220—best purchased a few days in advance to guarantee availability. Lessons are 10 AM-11:30 AM & 1:30 PM-3:00 PM. Trailblazers Camp Half-Day Package (ages 7-8) includes a round-trip bus pass, lower-mountain lift ticket, ski or board rental, and 90-minute group lesson), Sat/Sun $160, mid-week $150—best purchased a few days in advance to guarantee availability. Lessons are 10 AM-11:30 AM & 1:30 PM-3:00 PM. Trailblazers Camp Full-Day Package (ages 7-8) includes a round-trip bus pass, lower-mountain lift ticket, ski or board rental, 2 90-minute group lessons, and lunch and snack, Sat/Sun $230, mid-week $220—best purchased a few days in advance to guarantee availability. Lessons are 10 AM-11:30 AM & 1:30 PM-3:00 PM. Round-Trip Coach Transport Only includes a round-trip bus pass. You may also add lift ticket, lesson, or gear rental options, Sat/Sun $55, mid-week $49. One-Way Coach Transport Only includes a one-way bus pass. You may also add lift ticket, lesson, or gear rental options, Sat/Sun $45, mid-week $39. Lift Ticket Just need a lift ticket? Buy it here and pick it up on hill from your Urban Sherpa Leader Sat/Sun $65, mid-week $50. Lesson Add a 90-minute group lesson to improve your ride (beginner, advanced beginner, or intermediate levels available) $35. Gear Rental Ski rental includes helmet, shaped skis, poles, and boots; snowboard rental includes helmet, board, boots, and bindings $40.